Today Daily Billboard is in the mood for a stylish Sunday courtesy of this striking new Spring 2013 ad from Gucci. This fabulous billboard, featuring Anja Rubik and Karmen Pedaru, was snapped beside L.A.'s Chateau Marmont Hotel along Sunset Boulevard on February 3, 2013. 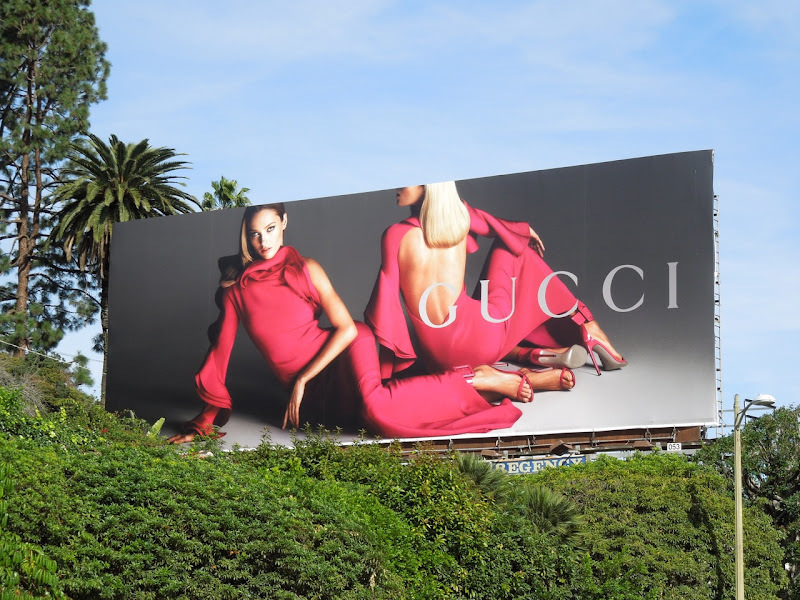 If you're a fan of the luxury designer brand, be sure to check out all these other Gucci fashion and fragrance billboards here at Daily Billboard.